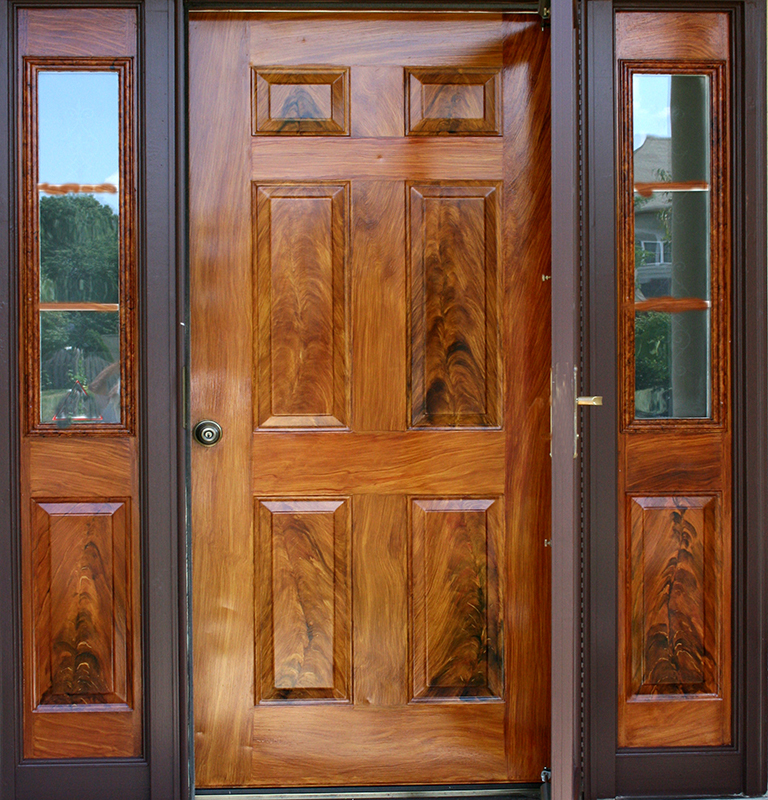 Metal door and sidelights grained (faux boise) in feathered walnut. 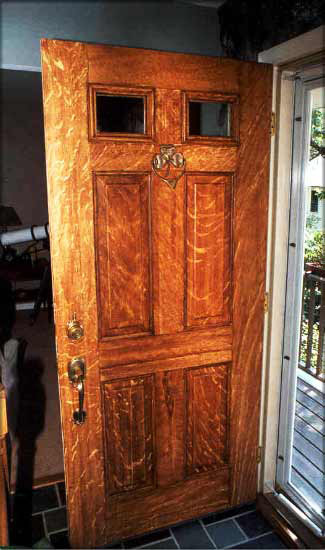 Faux bois walnut burl, straight grain and feather figure is painted using oil artists colors and oil glaze. 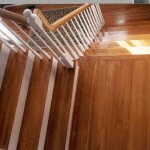 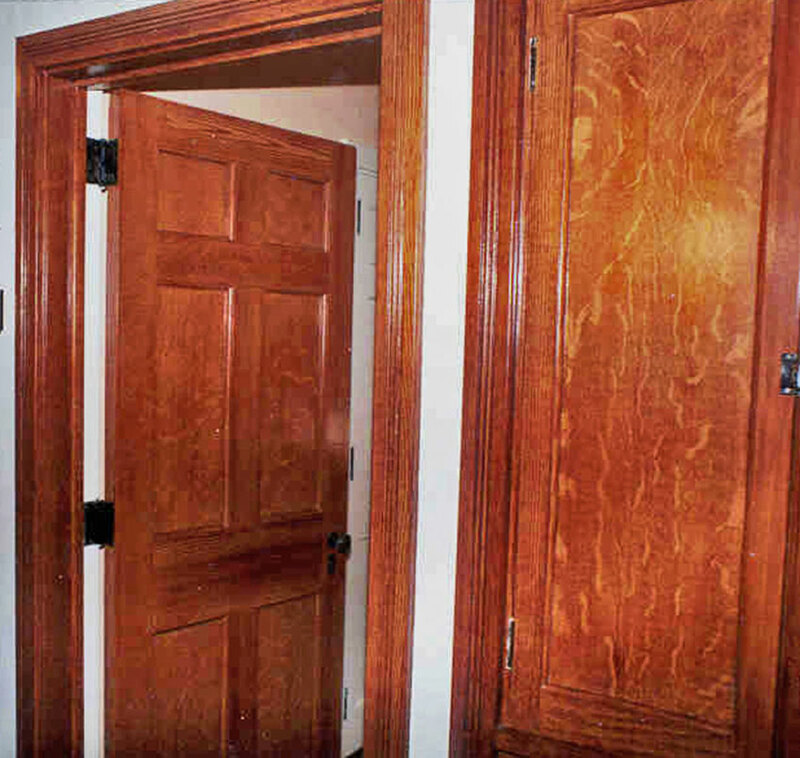 Woodgraining services and faux wood painting can add value and beauty to many surfaces in your Bucks County,Montgomery County or Delaware County, Pennsylvania home. 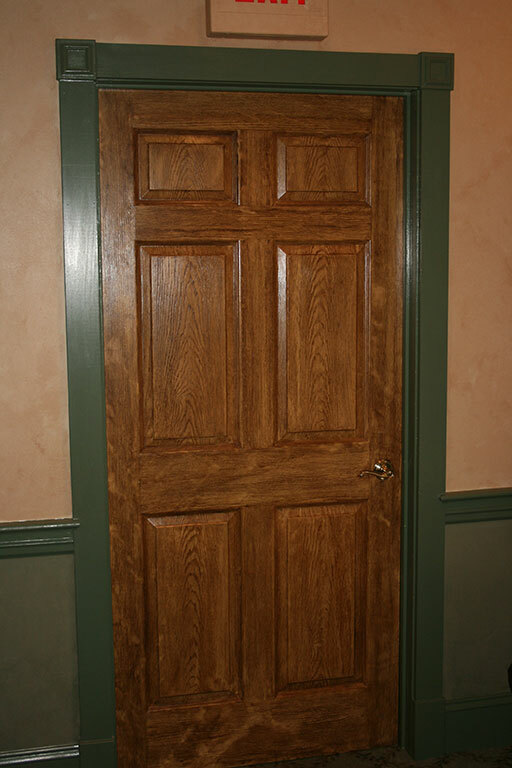 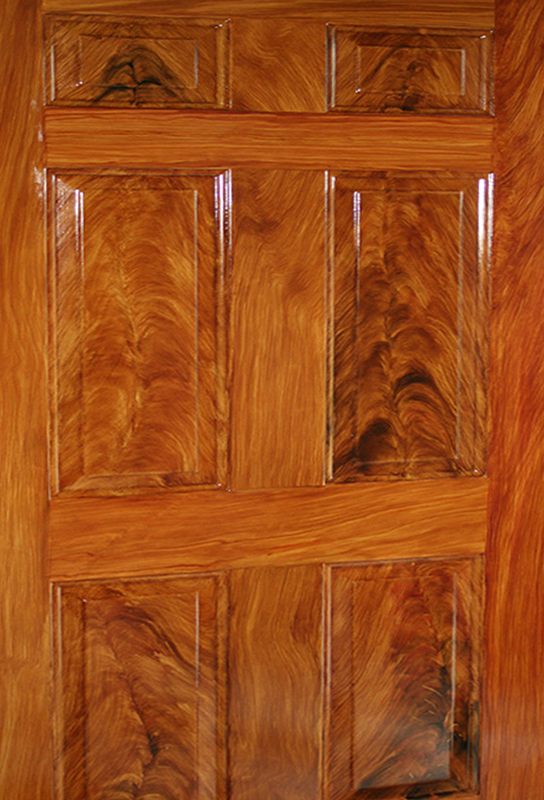 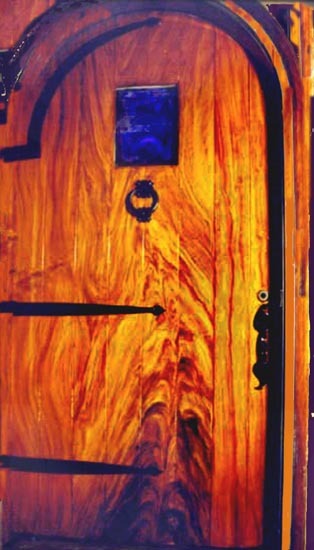 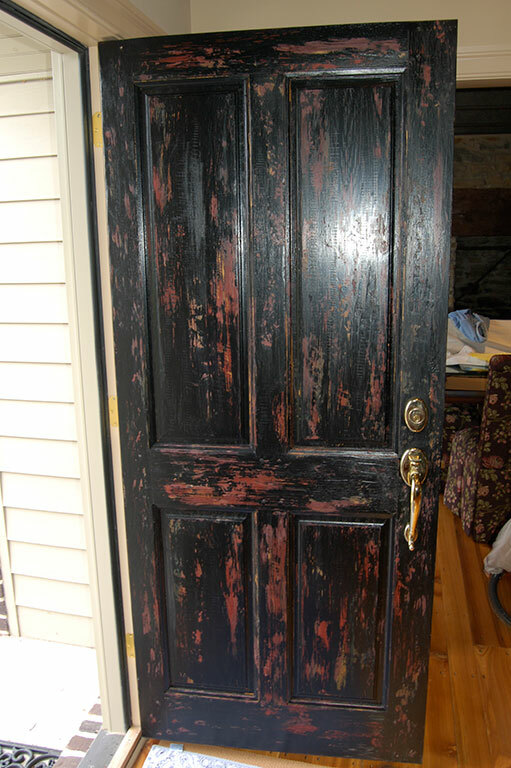 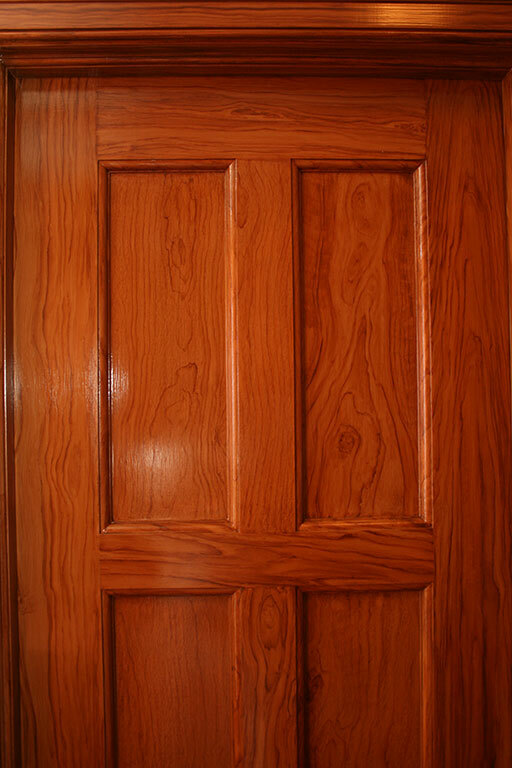 Woodgraining, also known as faux boise (pronounced foe bwahh), is the simulation of woodgraining onto any surface, be it a metal door, a cheaper wood or any painted or stained surface. 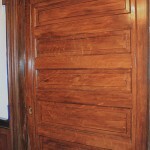 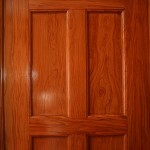 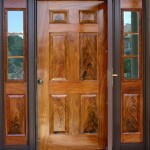 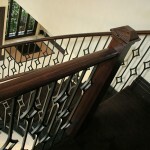 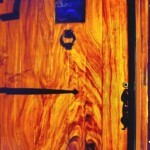 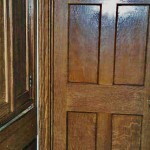 Woodgraining is done with paints and glazes not stains which penetrate a bare wood surface enhancing the existing grain. 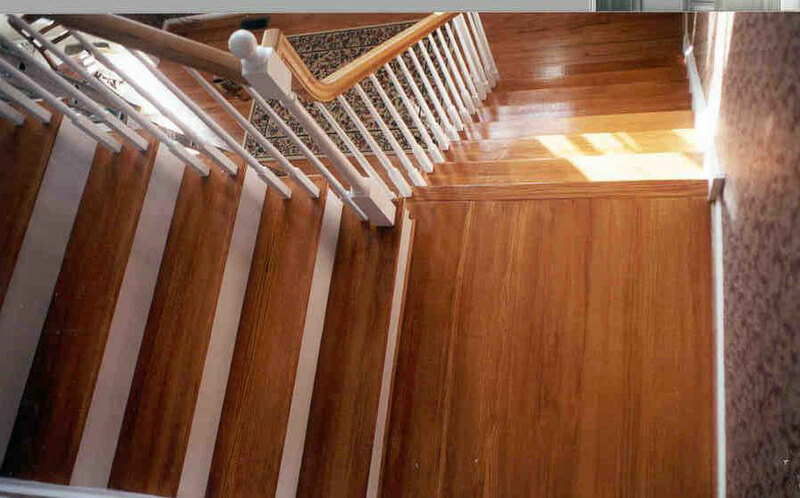 The process of woodgraininginvolves preparation of the surface to be wood grained for good adhesion, smoothness and color. 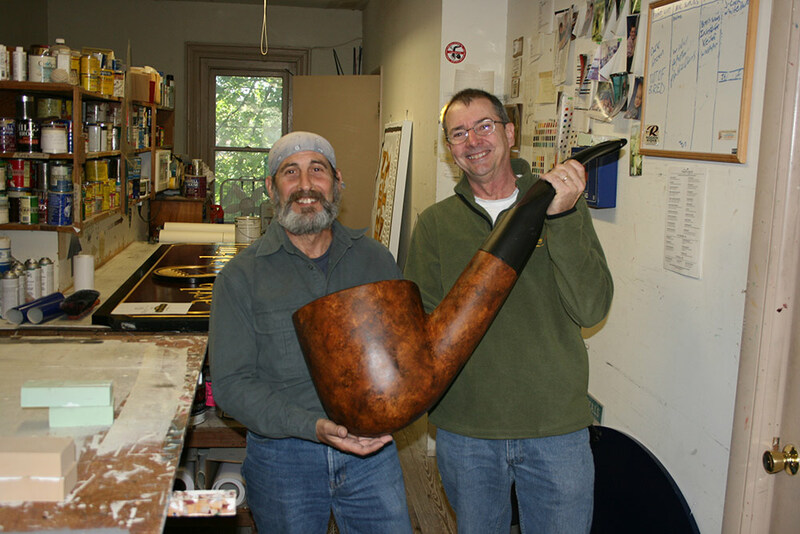 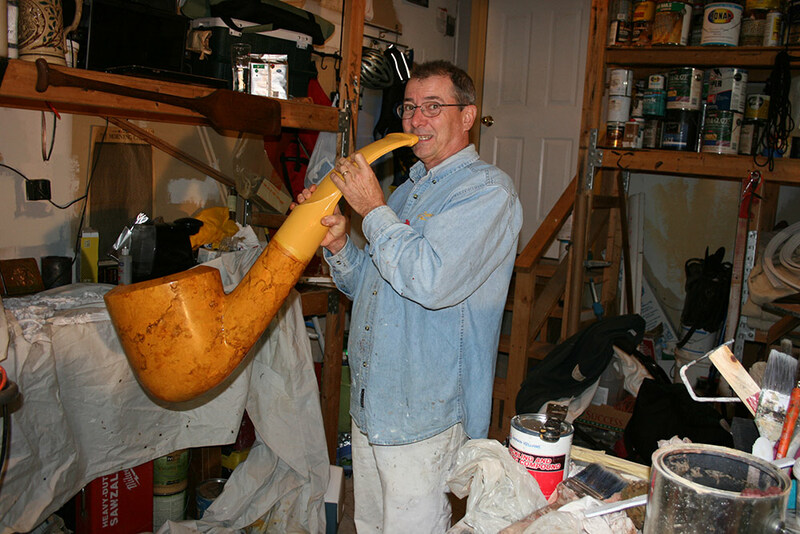 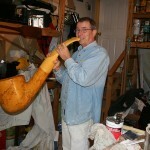 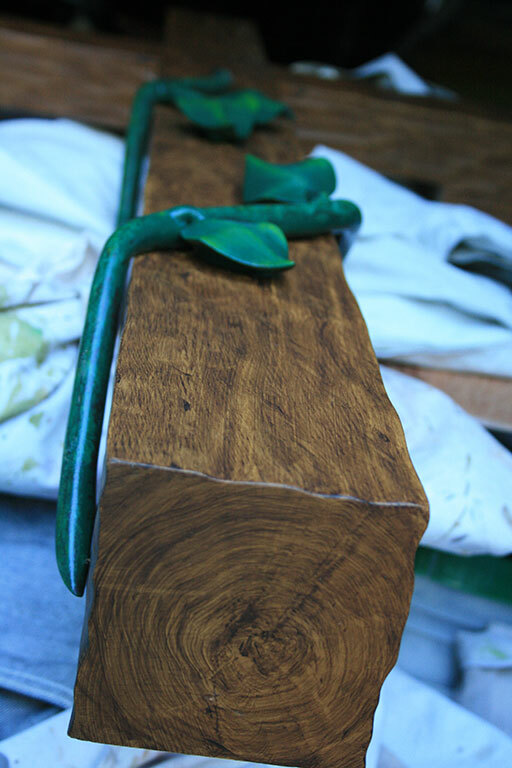 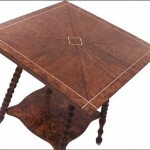 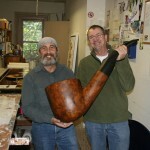 Once the base color is laid on and dry, an antiquing layer is applied for many woods which sets up the pores of wood. 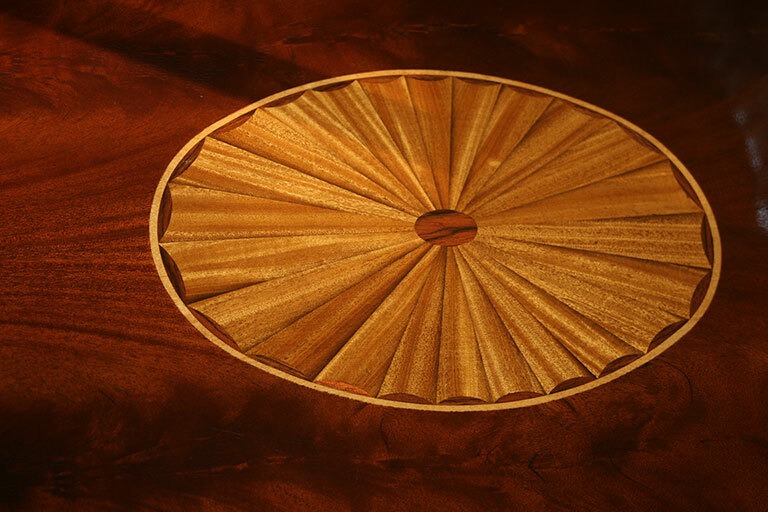 This is an important step to the woodgraining process as it adds a realistic underlayment of the next layer since these pores will be visible under the overgraining. 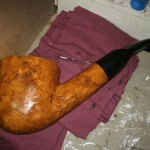 Then the overgraining is laid on with an assortment of tools and brushes. 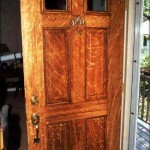 All these layers are using glazes sometimes known as scumble or distemper. 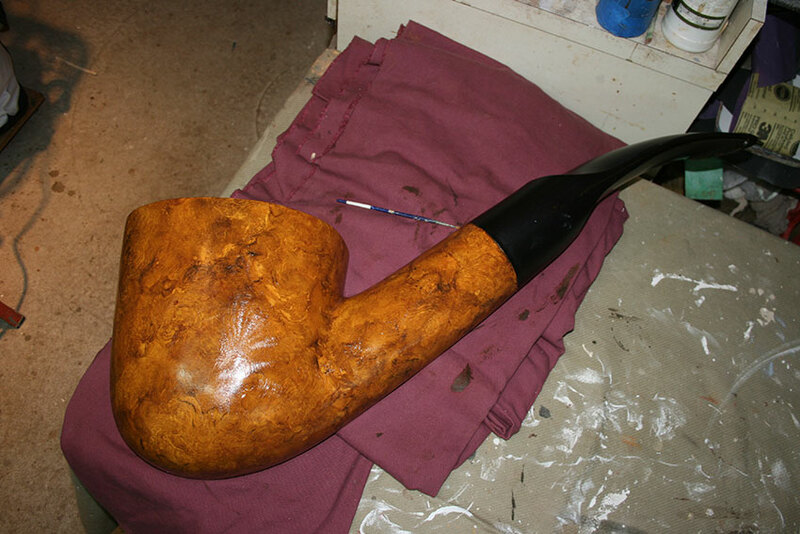 Again, depending on the wood being simulated, another step may be to add the mottled overglaze or crossfire common to many woods. 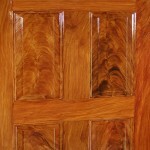 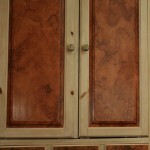 Finally a toning glaze is applied to bring in that rich color of the exotic woods which we all love so much. 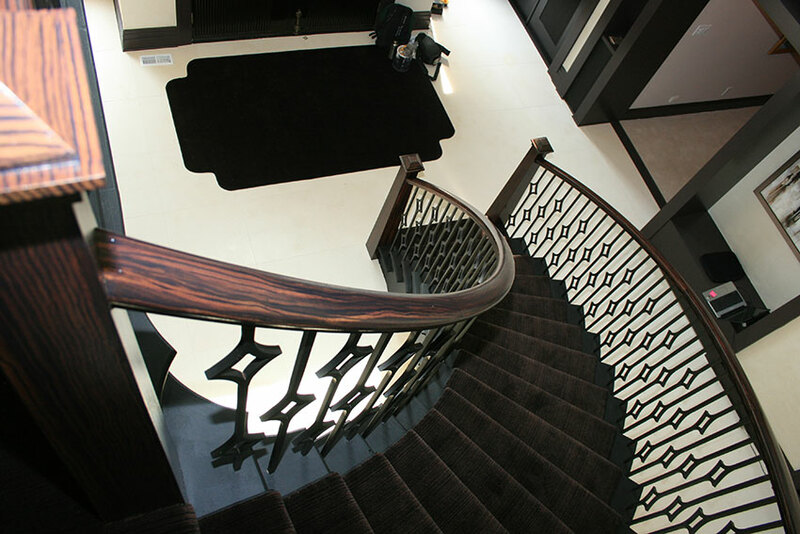 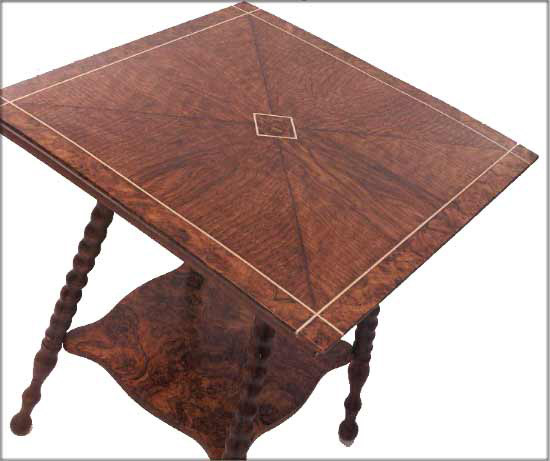 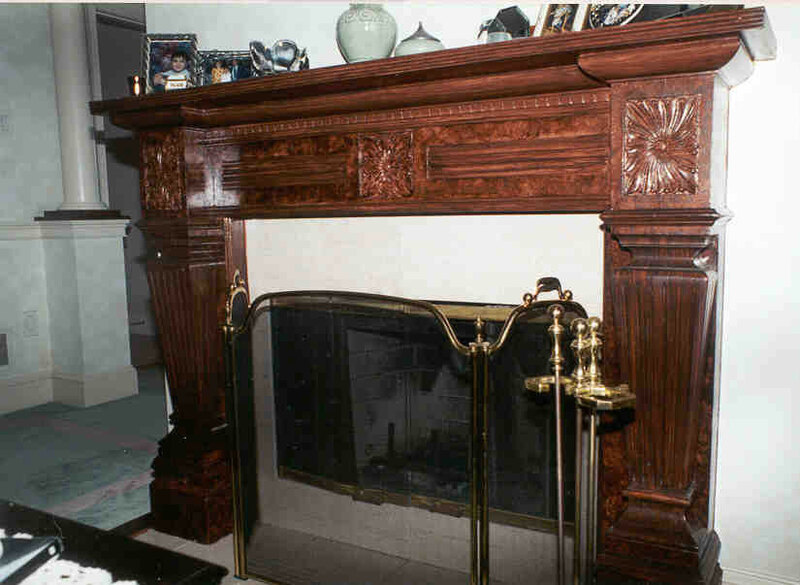 When dry, a varnish is applied and when cured enough a wax is applied with very fine steel wool for the soft luster finish seen on fine furniture. 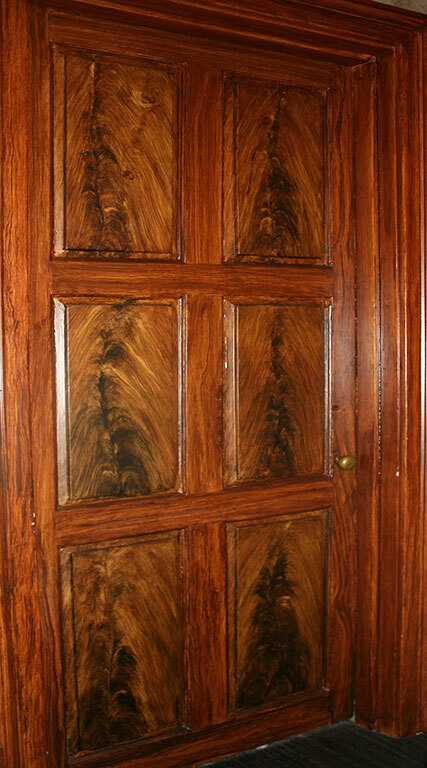 Why pay for someone to make a surface look like wood when you can just buy the wood instead? 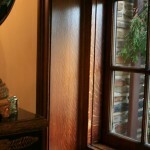 This is a common question which is answered simply. 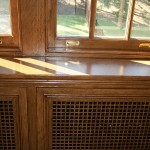 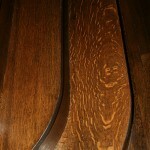 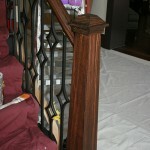 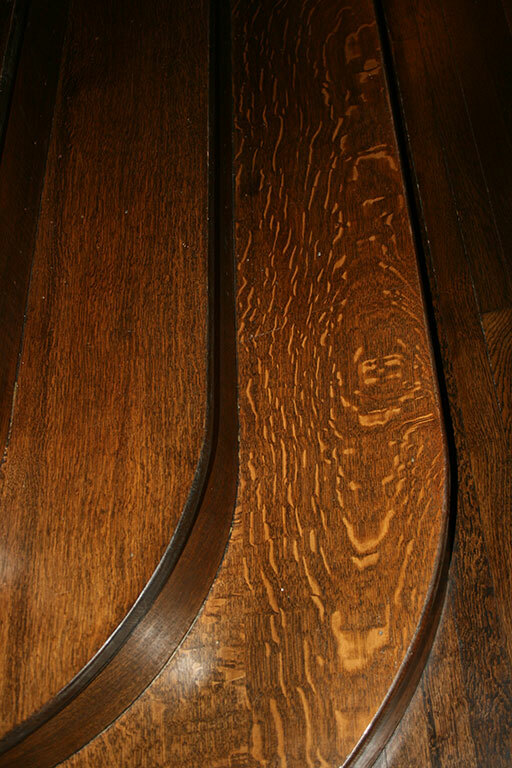 Graining offers the opportunity to take the most interesting grains of wood in the very color tones preferred, to transform an existing painted entertainment unit into a beautiful feathered walnut, or a metal door to an antique quarter sawn oak, pine stairway to a rich cherry wood, or a rounded surface on which would impossible to apply a veneer. 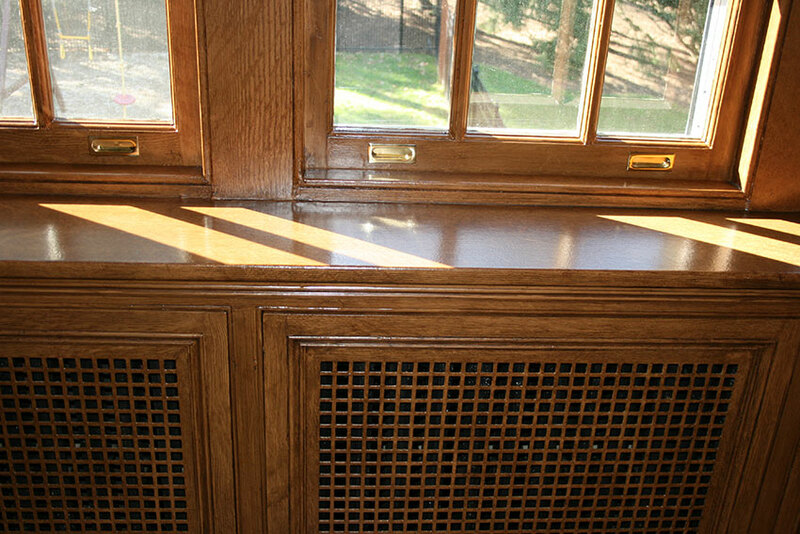 This select wood would be quite expensive to purchase and install, and would still need to be stained and varnished, not to mention the removal of the existing substrate. 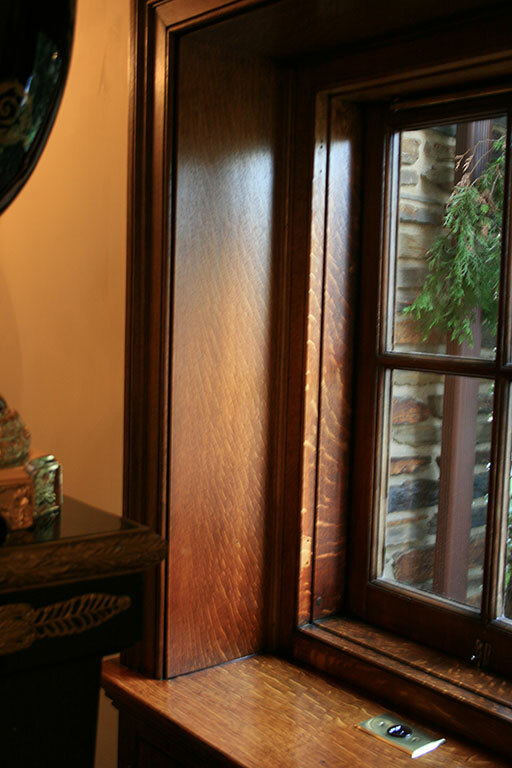 So actually wood graining is a less expensive and greener way to achieve the rich look sought in many of our decorative transformations. 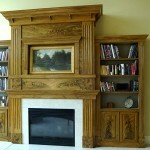 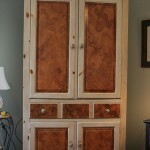 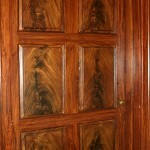 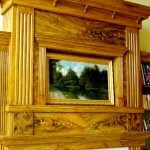 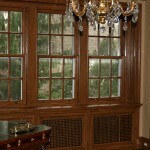 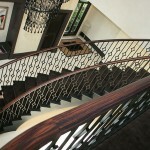 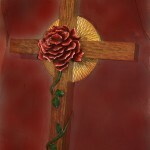 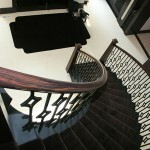 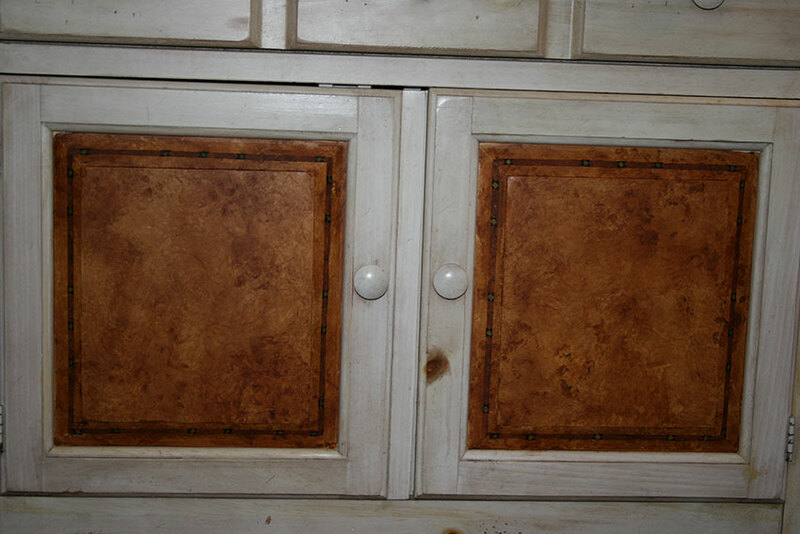 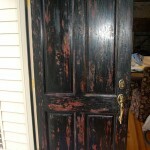 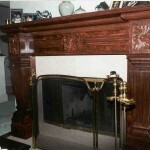 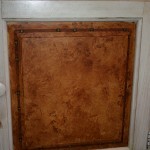 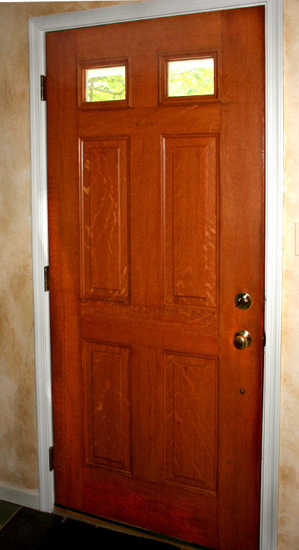 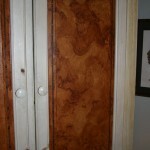 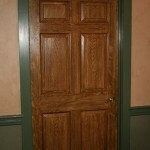 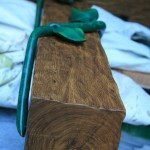 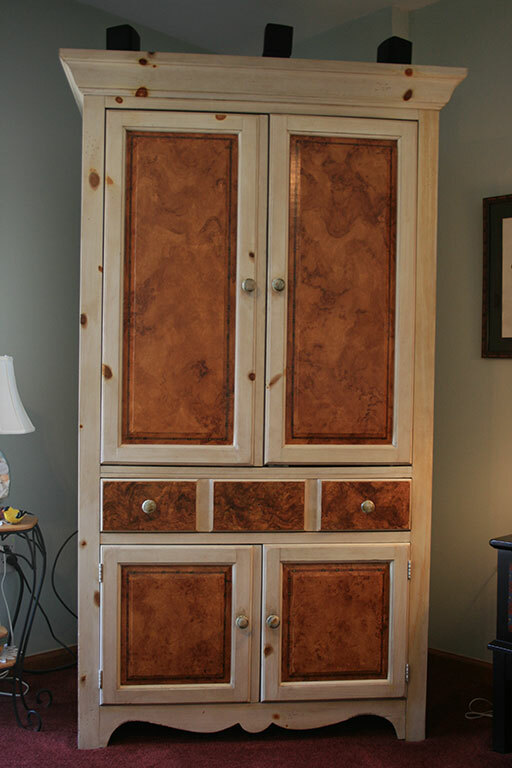 The option of faux wood painting is highly affordable and can bring out the rich colors of wood that last much longer. 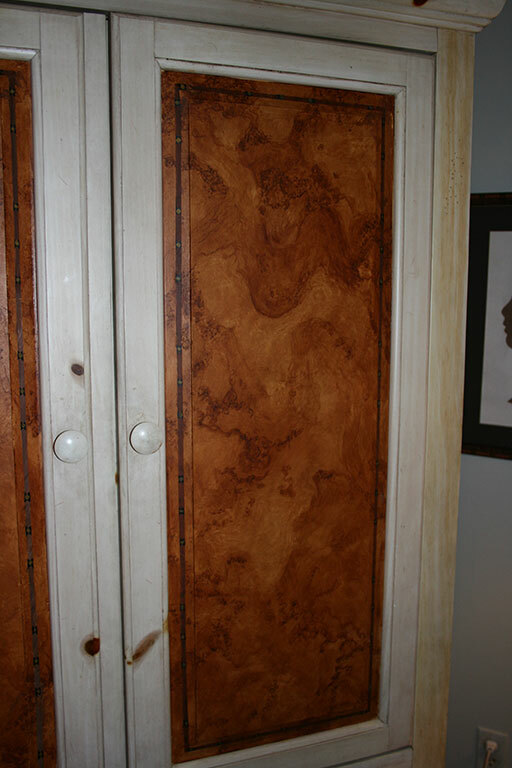 When we apply faux wood painting to surfaces in your Montgomery County, Bucks County or Delaware County, PA home, we ensure that your faux wood painting finish looks just as good, if not better than natural wood. 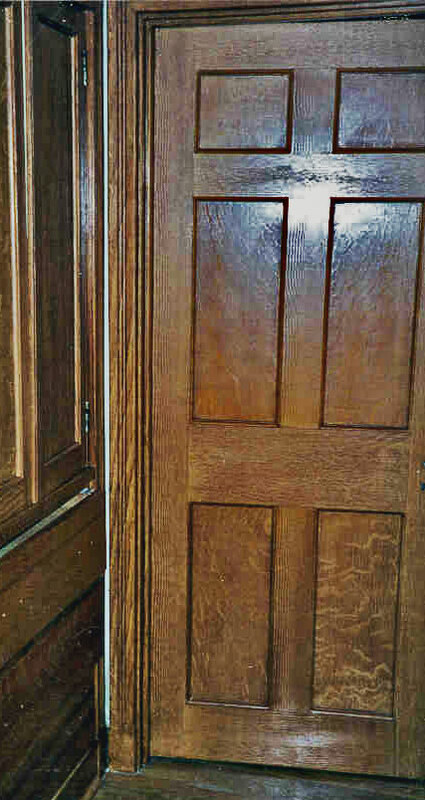 Distemper is a wonderful realistic material used to portray the fine pores of wood or delicate graining of pine, cherry or birch. 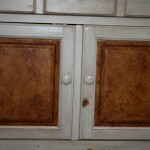 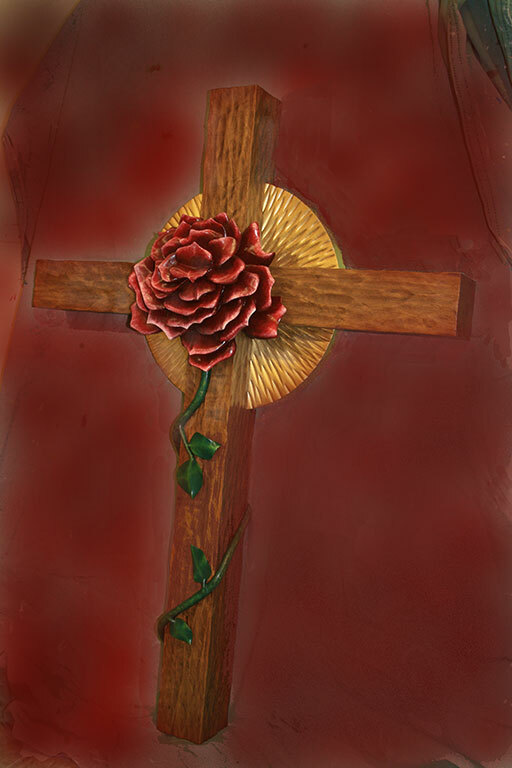 It can be made numerous ways using watered down stale beer or a sugar solution tinted with dry pigment powders. 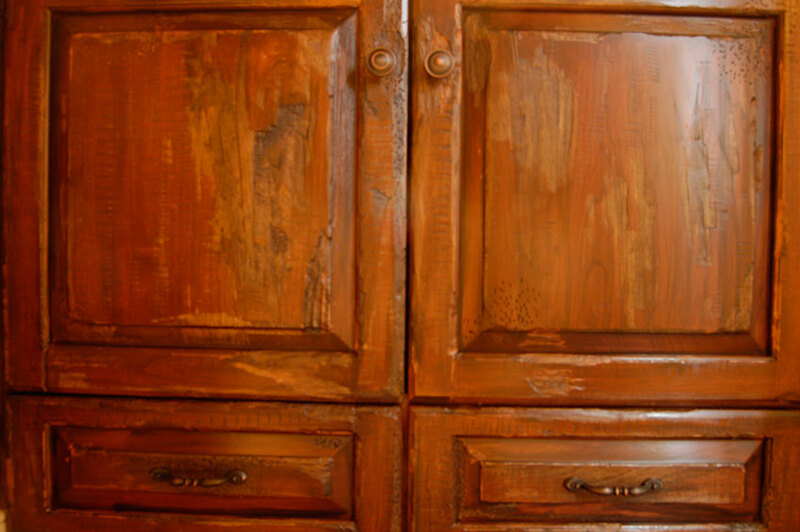 This is a very weak layer meaning it must be isolated with clear shellac or overglazed with an oil based glaze, as it can be easily removed by water or water based glazes. 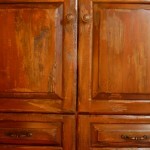 Scumble is another term generally used for a weaker glaze made from either oil or water based glaze. 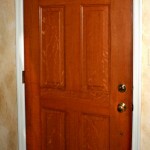 It pretty much depends on who you are talking to as to which of these terms to use. 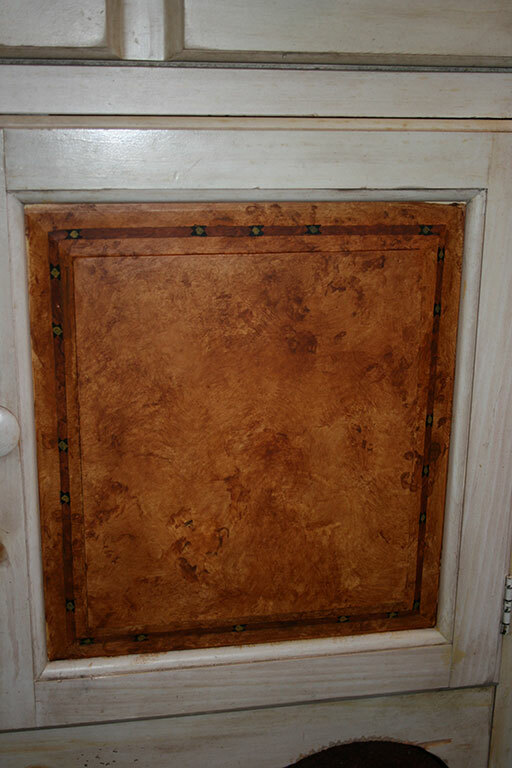 The older traditionally schooled decorative painters seem to use this term. 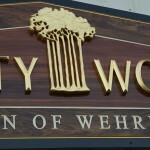 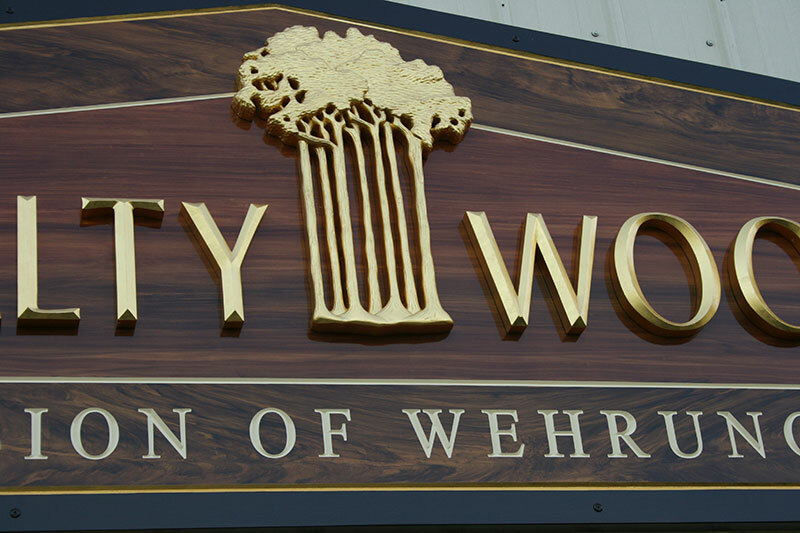 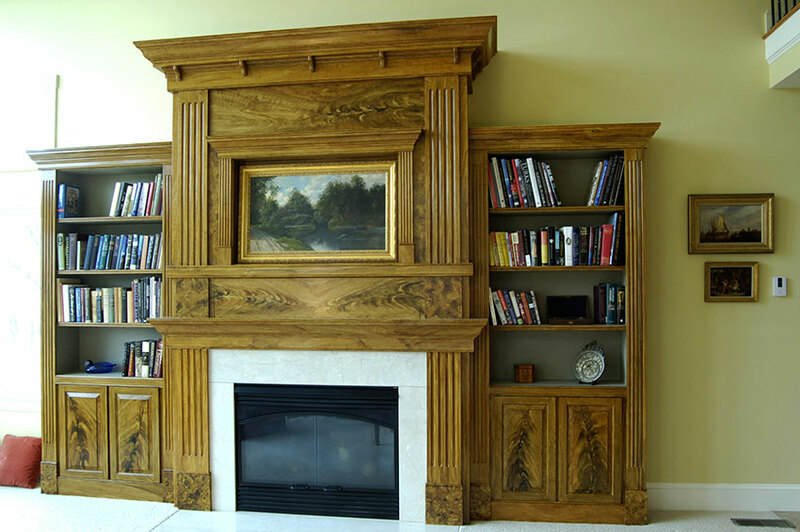 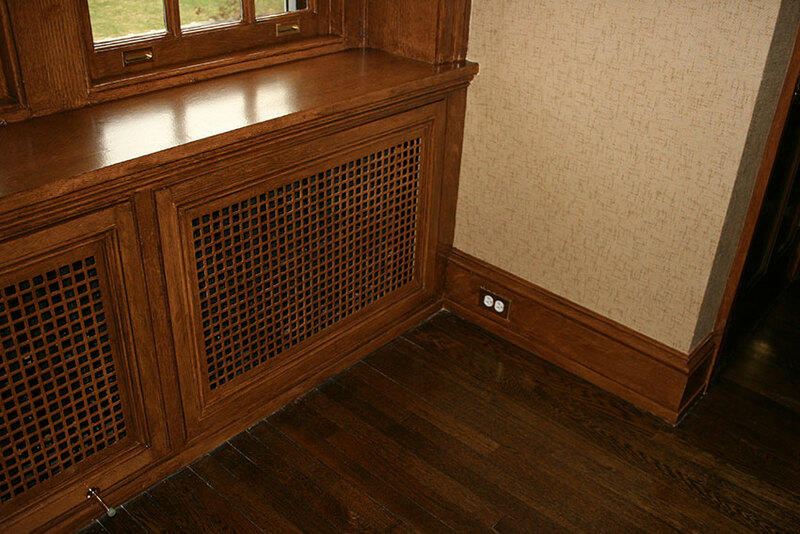 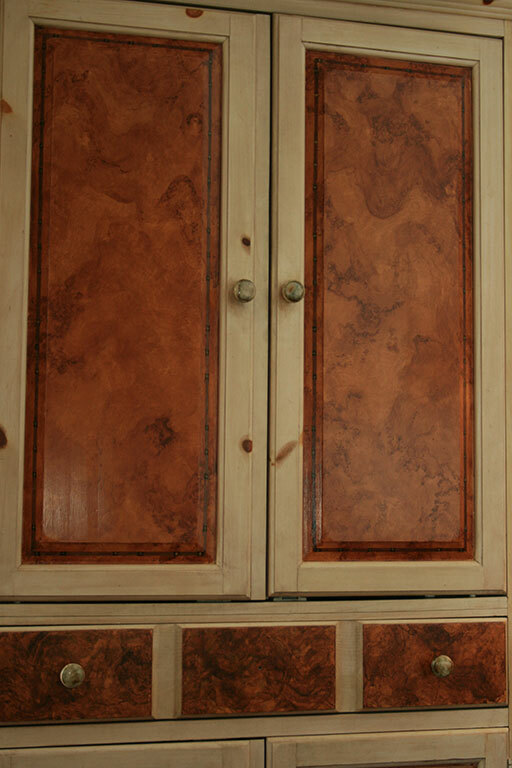 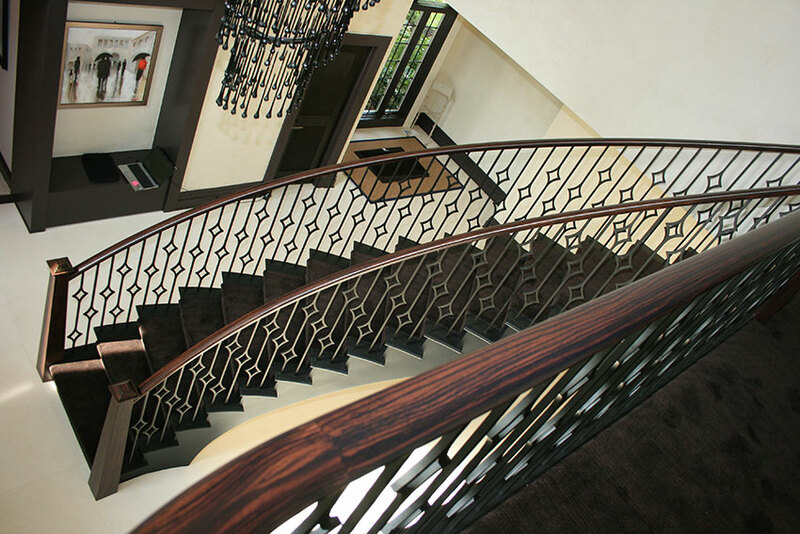 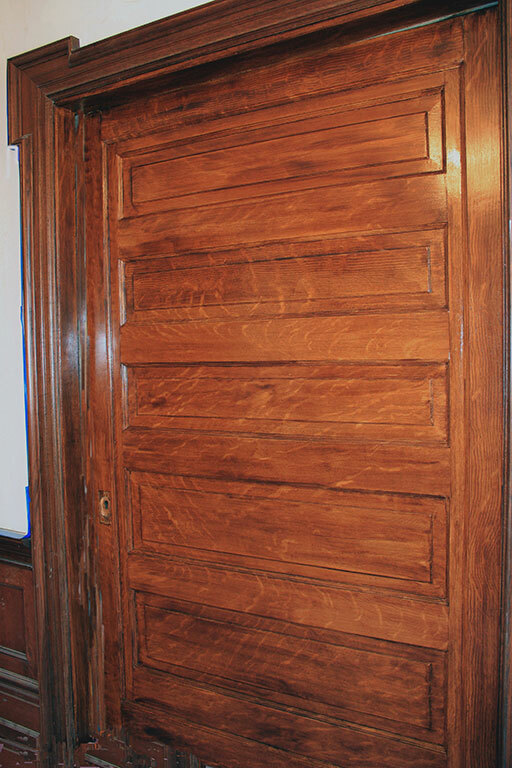 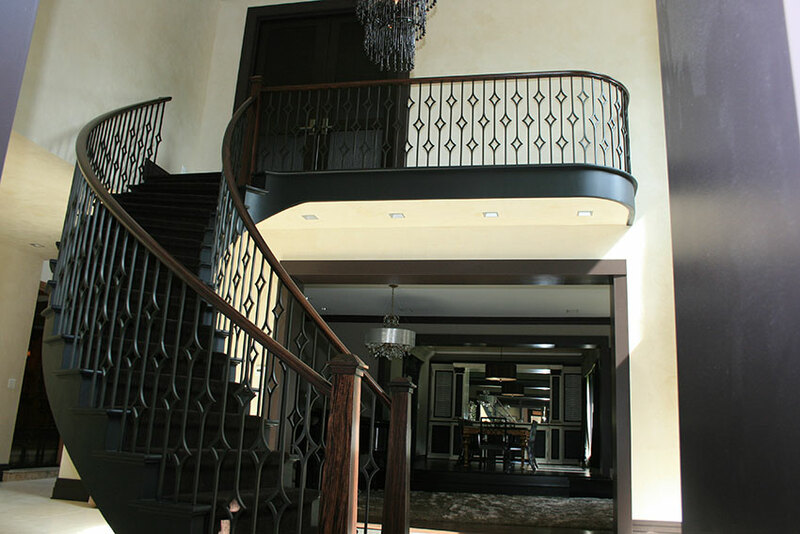 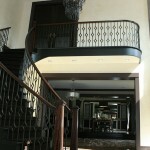 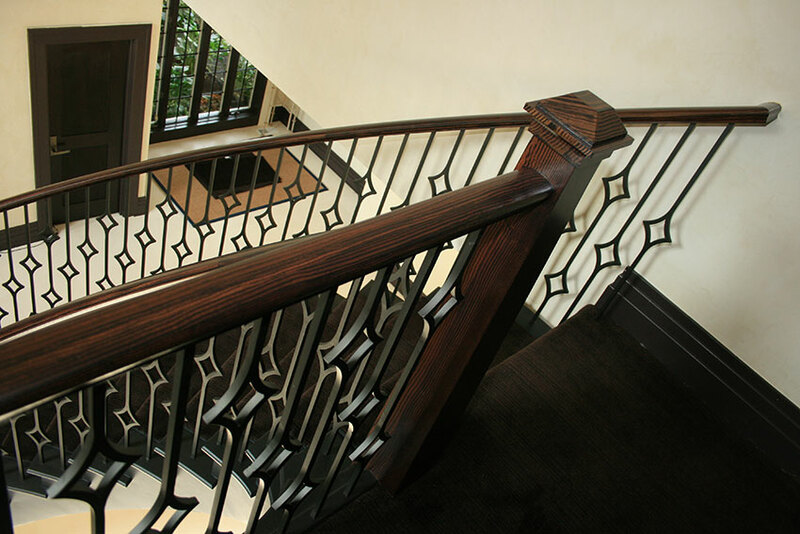 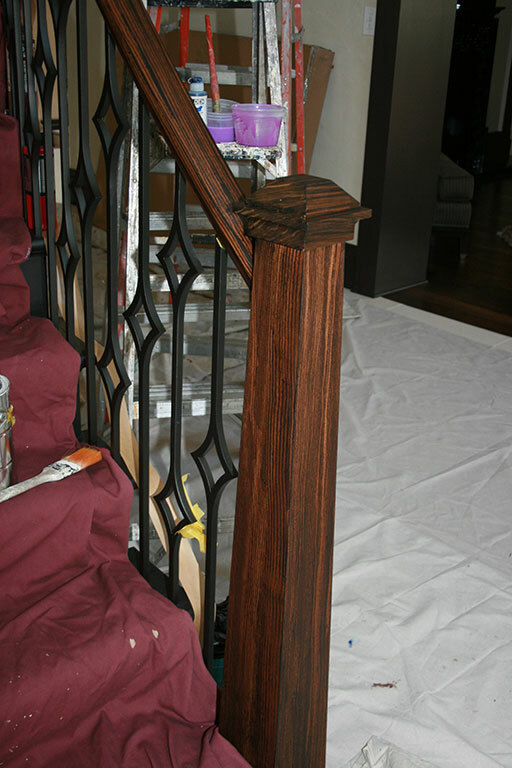 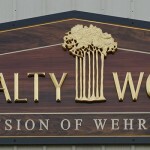 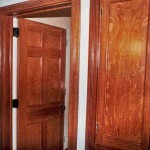 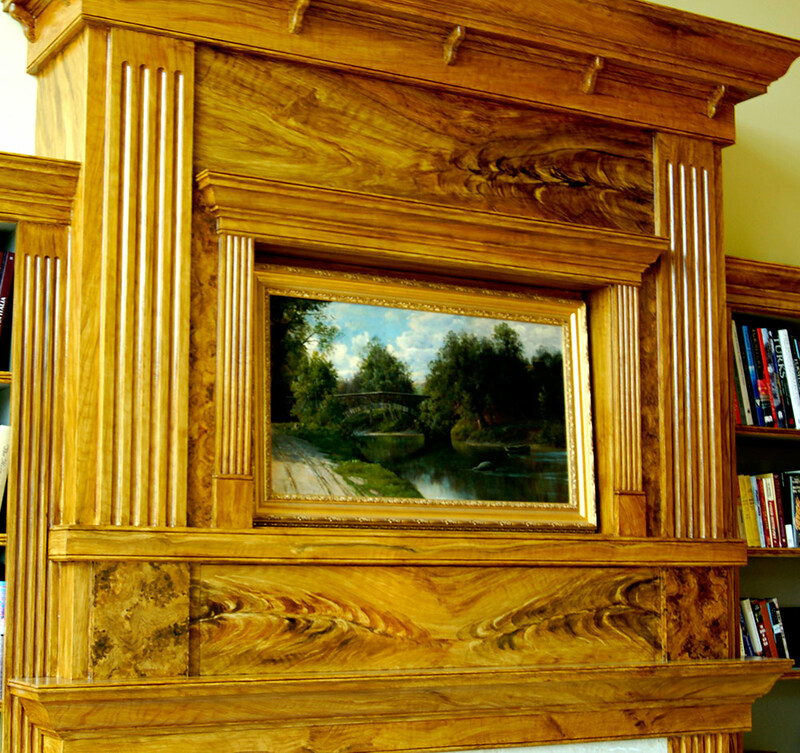 To learn more about faux wood painting and woodgraining services, please contact us today at 215-257-5252. 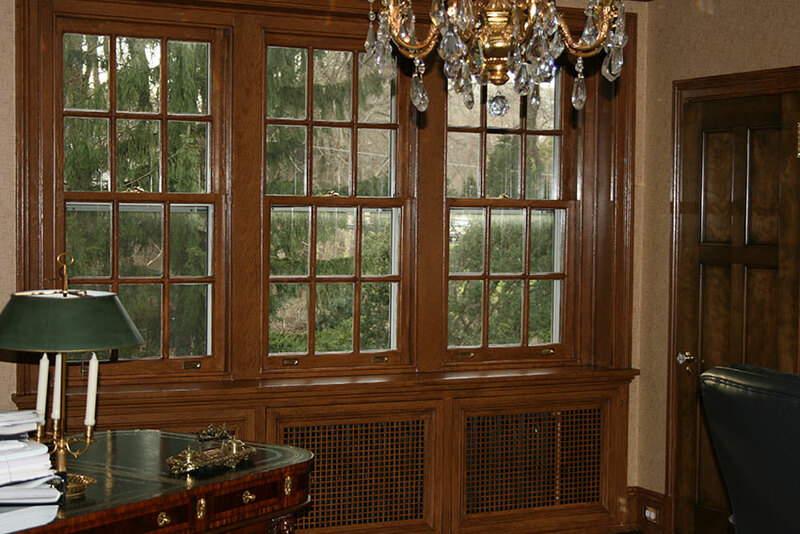 We proudly serve all of the Montgomery County, Bucks County and Delaware County, Pennsylvania areas.